I spend most of my painting time focused on the ordinary scenes found as I journey through my moment on earth. For example, I have a love affair with Ontario’s Bonnechere River Valley. I also love to explore farms; barns especially. There is beauty, serenity and power to capture there, not through a camera’s lens, although I do take reference photos, but with color, lost edges, light, and contrast. 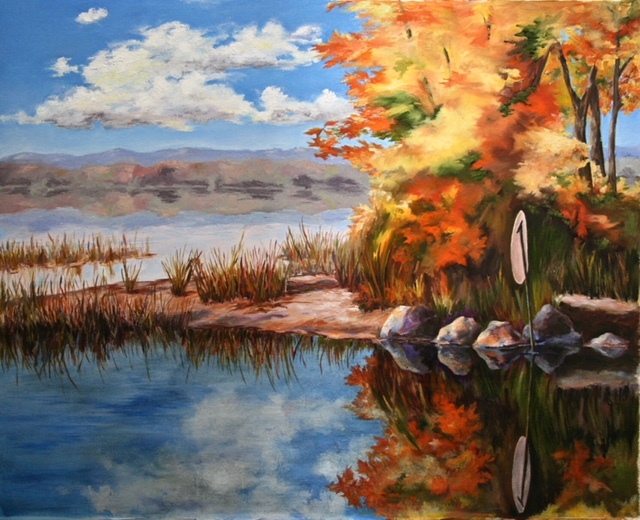 So, whether I’m painting a spectacular Canadian scene in watercolor, or an old stone barn along a sunny lane in oils, I depend on the unique characteristics of the media used to draw the viewer into each scene, be it breathtaking or mundane.